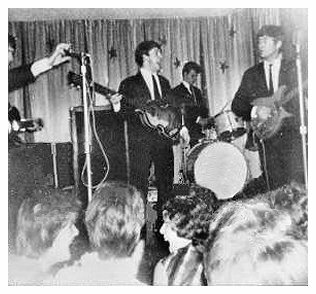 This would be one of Pete Best's last shows as a Beatle. And this is certainly some of his last photos with them. 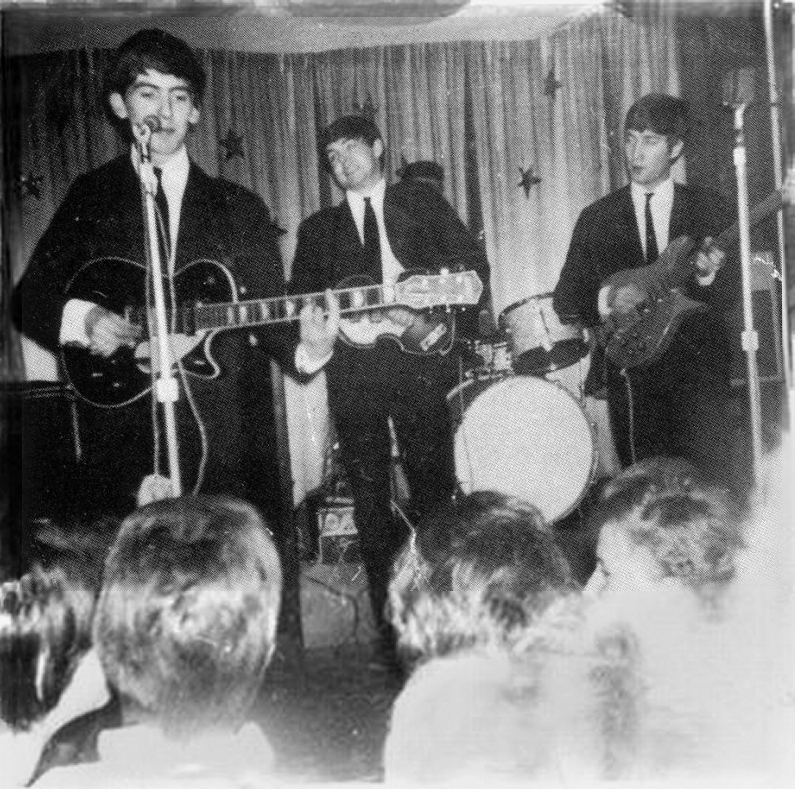 In just over two weeks, he would be dismissed from his postion as drummer. 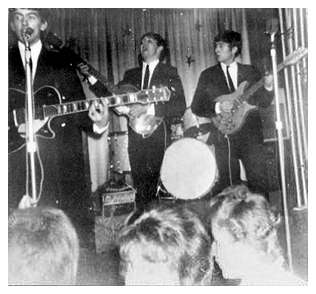 Pete played his last gig with The Beatles at The Cavern on 15 August 1962.
from the Larry Parnes audition on 10 May 1961) sat in on drums. 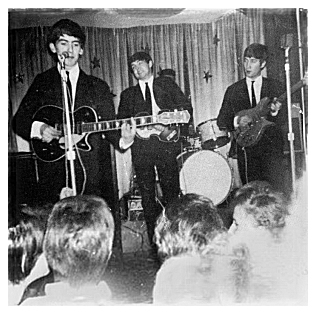 On 18 August, Ringo made is live debut with The Beatles at Hulme Hall in Birkenhead.